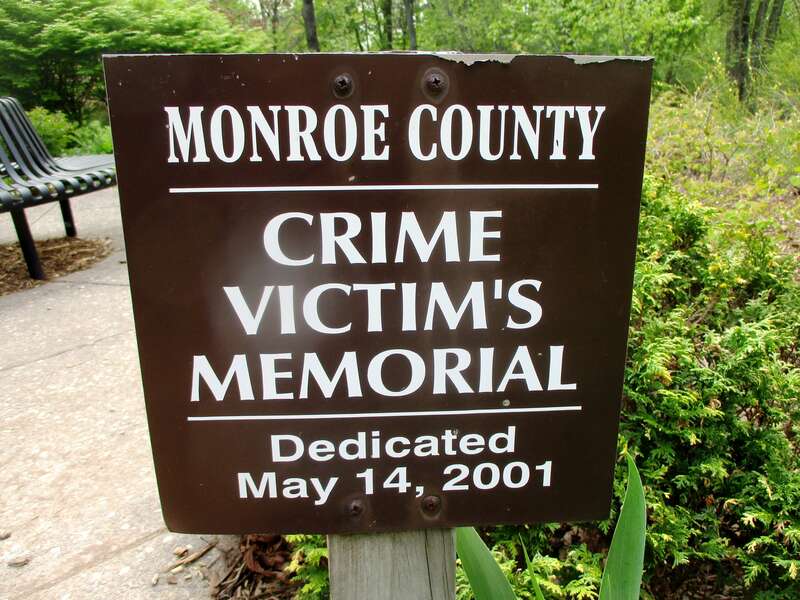 That’s Spencerport’s Hannah Lopa, not The Guardian or the Monroe County Crime Victims Memorial which was dedicated 16 years ago today. 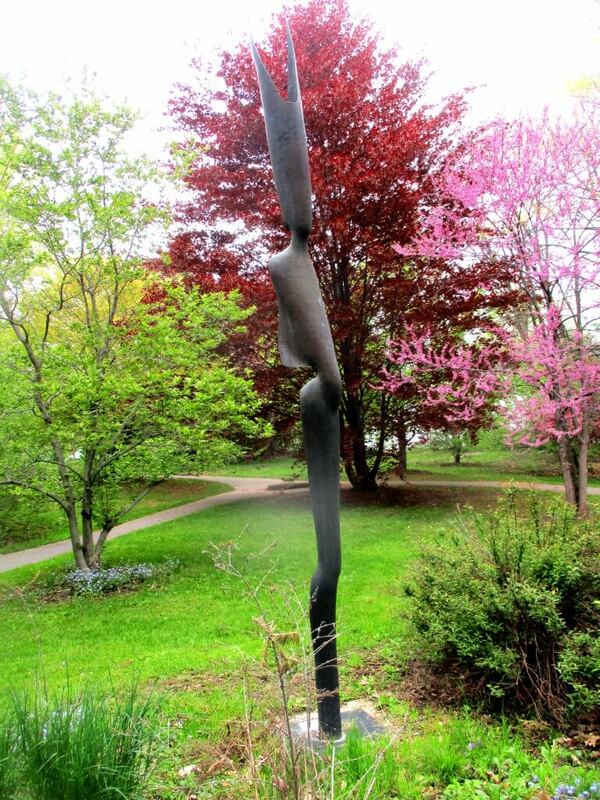 Hannah is click bait for a look at some of the less well known gems in Highland Park. 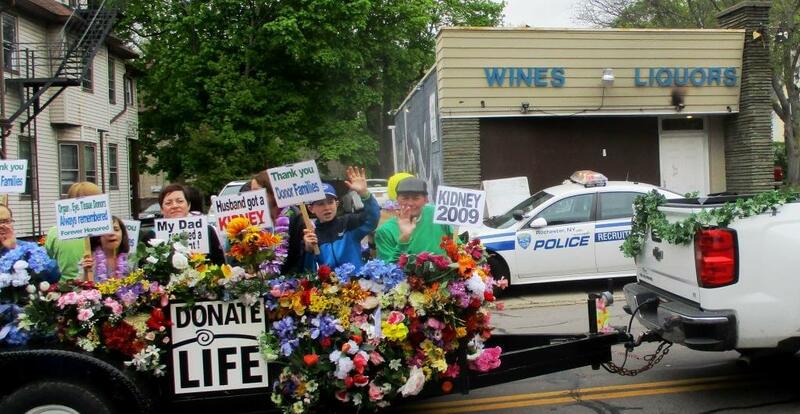 At the parade and over the course of the festival, tens of thousands will meander through Highland Park. 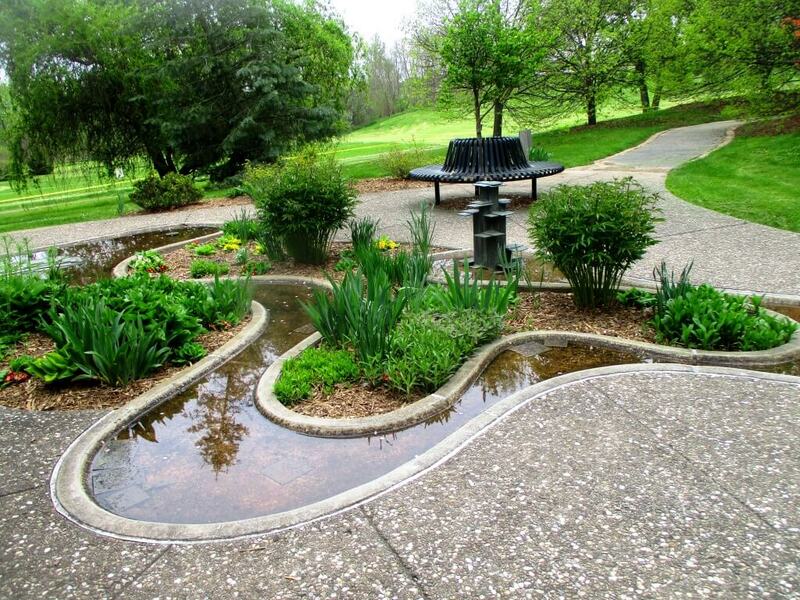 Much of the park is well treaded territory as tourists and Rochesterians know of sites like the Sunken Gardens, the Conservatory and the Vietnam Veterans Memorial. 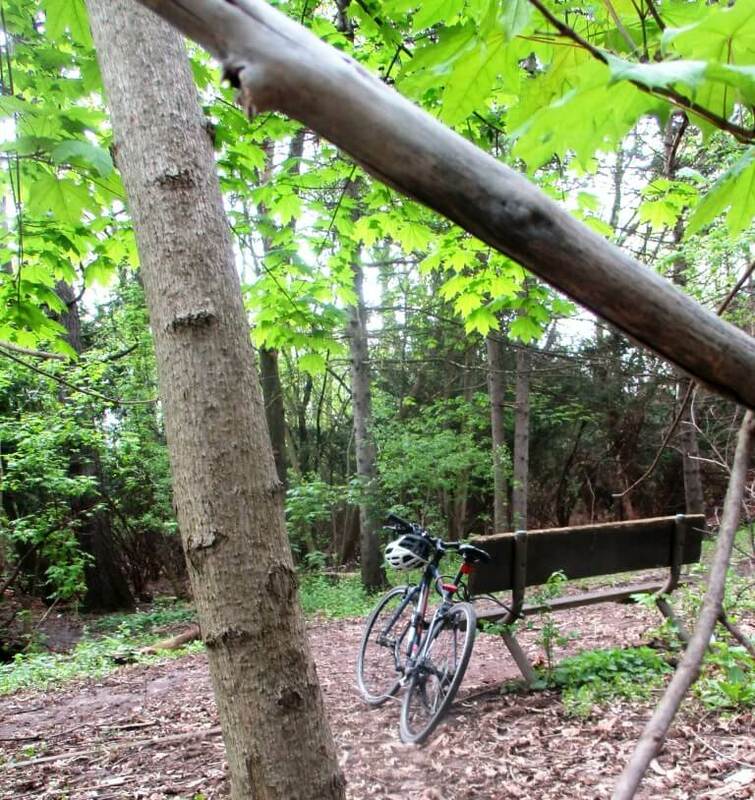 What many will miss are some tucked away pleasures in the area below the Vietnam Memorial and in the wooded copse next to what used to be the Cornell Cooperative Extension. 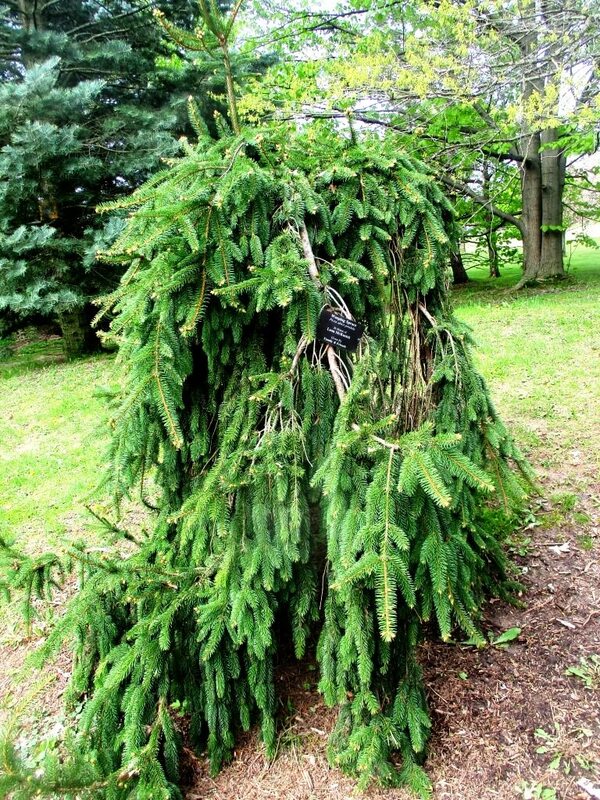 Surrounded by trees, the slender Guardian statue can easily be missed. 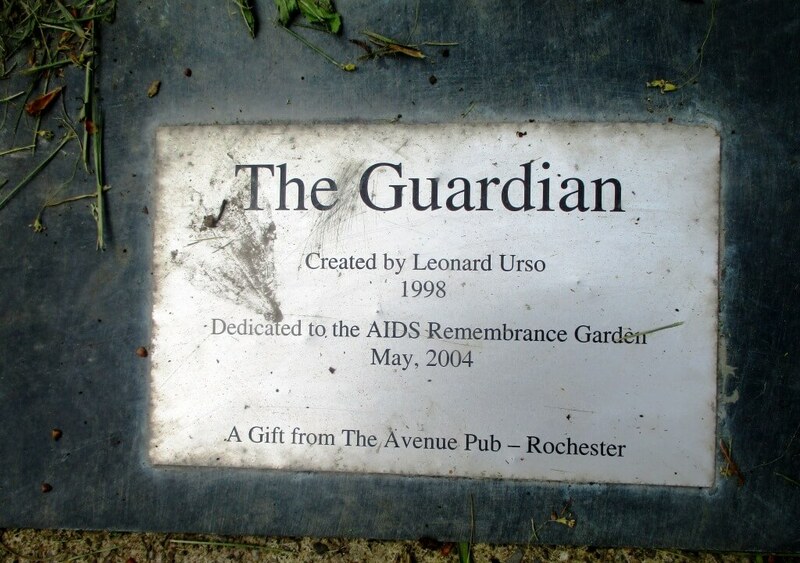 The statue is in the center of the AIDS Remembrance Garden, a poignant reminder of its victims. 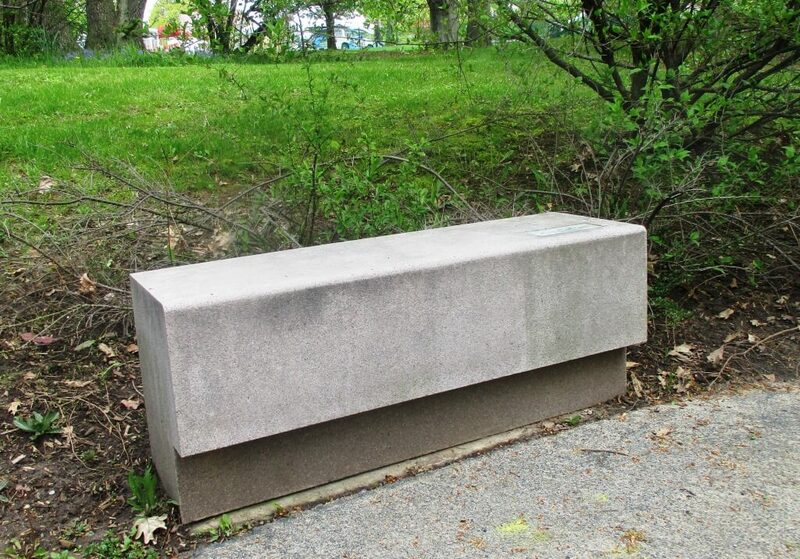 On the edges of the garden and looking out at The Guardian are several benches. One given anonymously to All Those Who Cared. 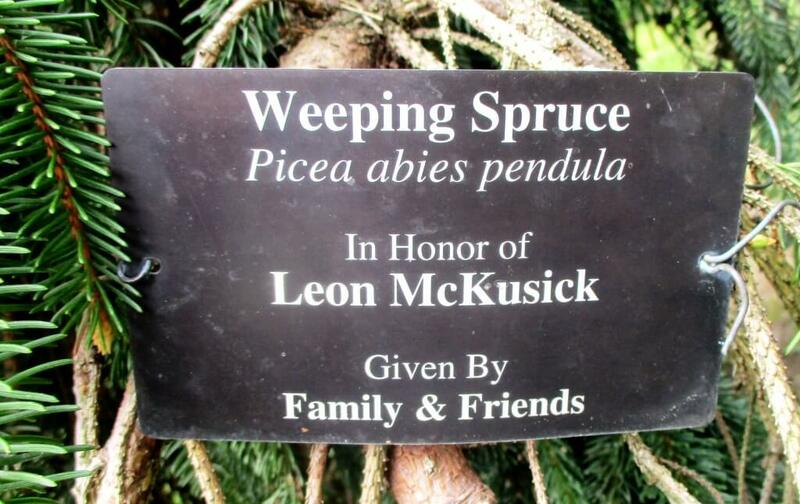 Also in the AIDS Remembrance Garden is a lush Weeping Spruce. 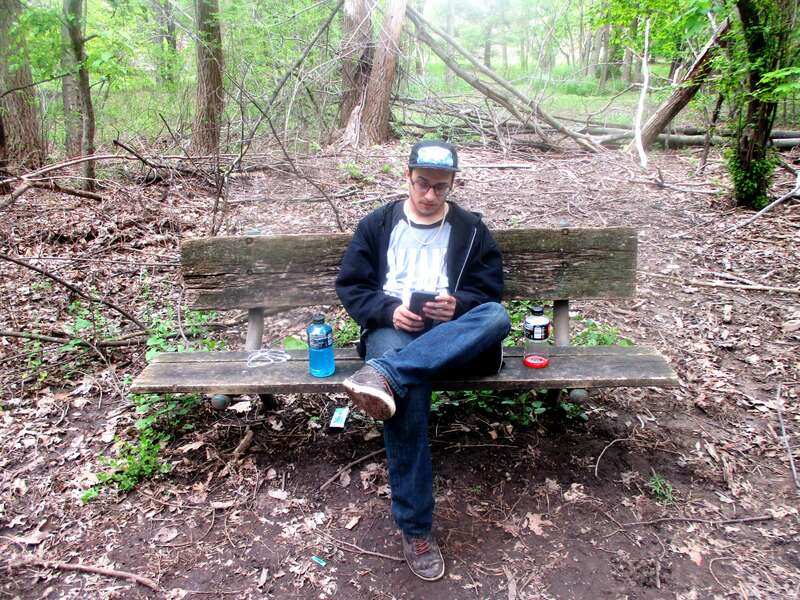 Next to the pond is a bench donated by Home Depot, that — apparently — was discovered by neglectful festival goers. 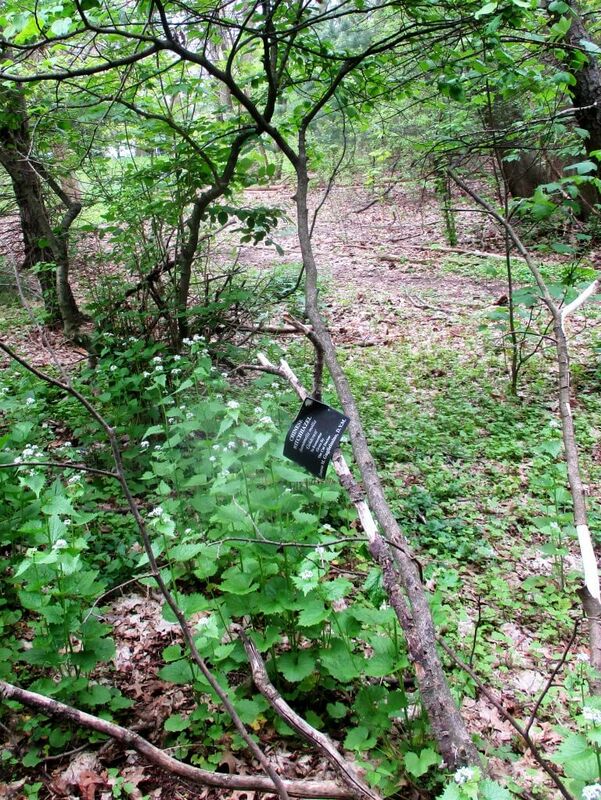 Further down is a wooded area that is mostly kept in its natural state in contrast to the rest of the carefully and well manicured park. 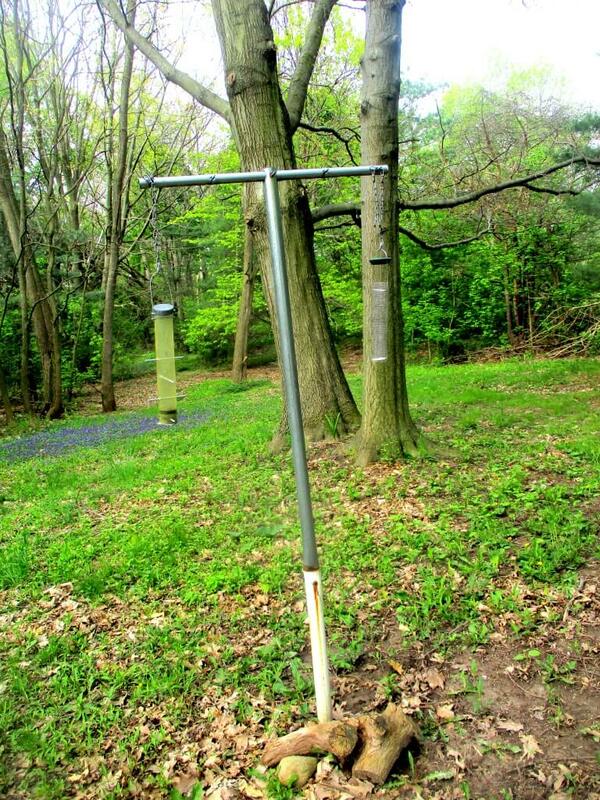 You can find a bird feeder that is periodically filled with seeds. 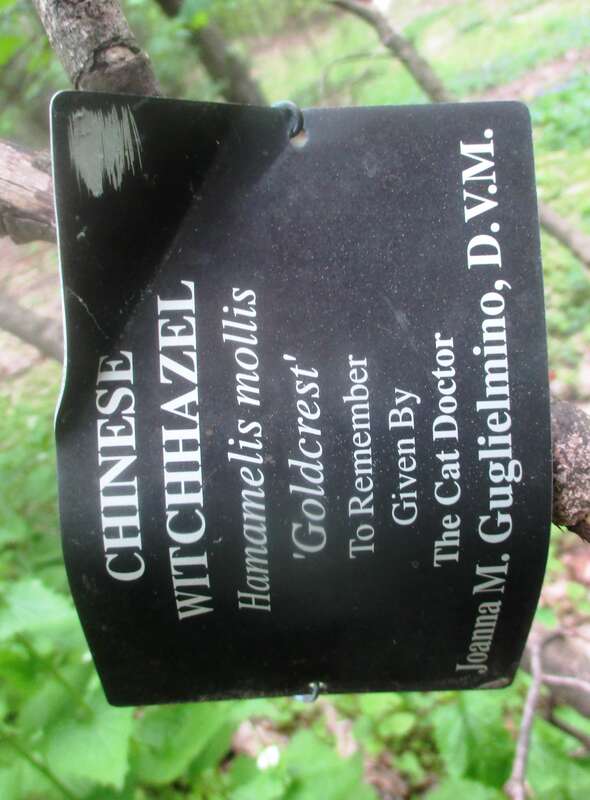 If you poke around in the brush, you can find some tagged trees. 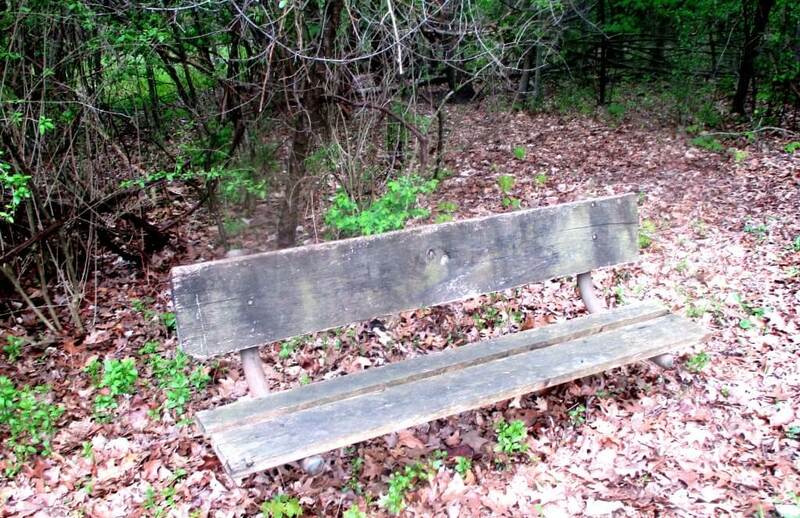 The copse is known for its wooden benches, especially the one placed beneath a canopy of trees. One of the two benches. During the festival, the bench is a favorite spot for workers. 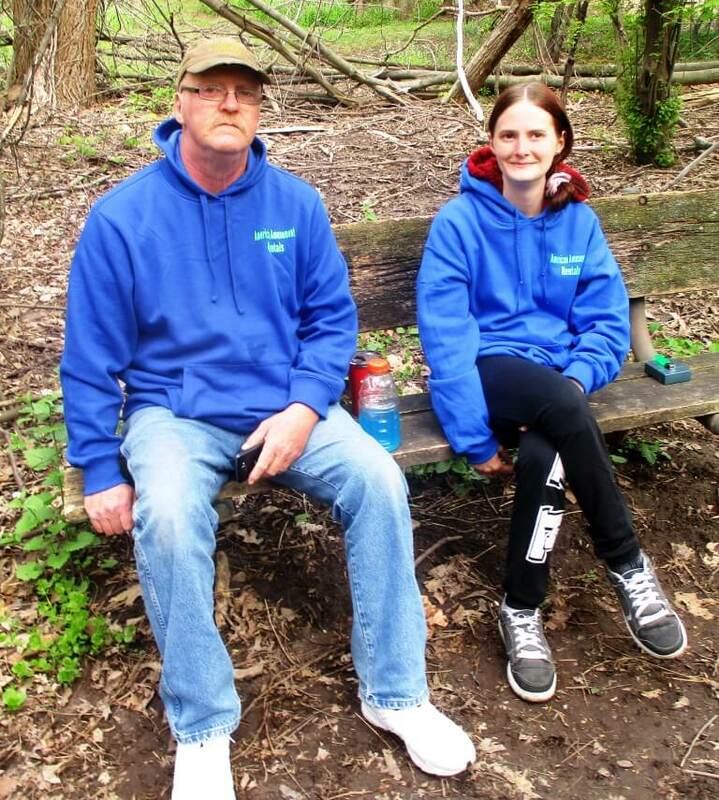 Dave and Haley from Bradford, PA discovered the bench a few years ago. They like to come down from the festival hubub for a quite smoke. Dave and Haley from Bradford, PA in town to work at the festival. This young man and his friends (who chose not to be pictured) know this part of the park well. They biked over and stopped for a vape. 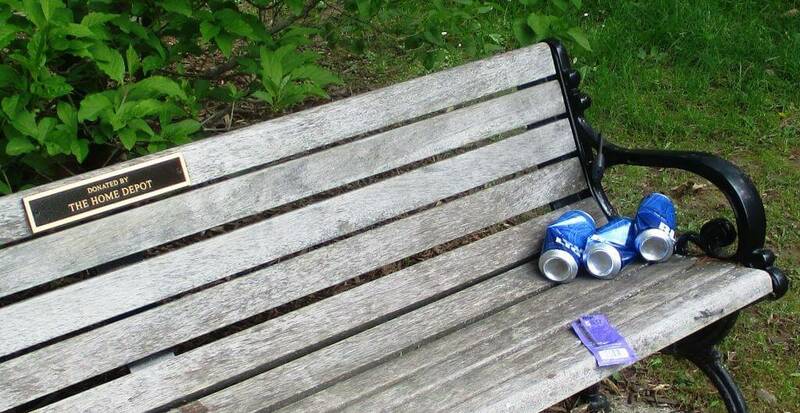 Based on debris and paraphernalia left occasionally on the bench, it appears to be a place of earthly pleasures. Evidence suggests the horizontal bench has been the site of amore of various permutations. 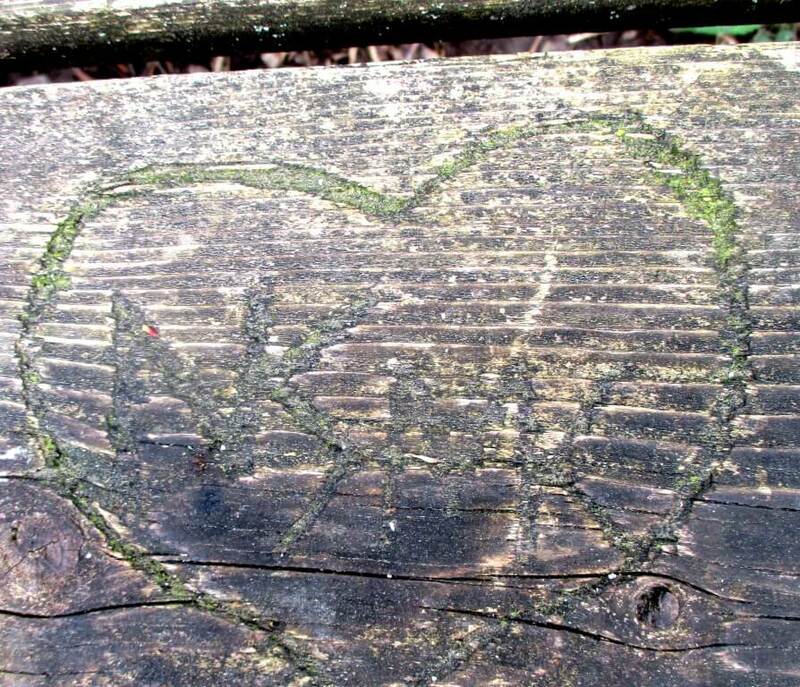 As testament to their spiritual and earthly devotion, two smitten lovers, AK and MR, carved their initials inside a heart.